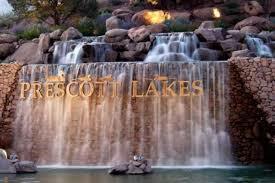 Prescott Lakes AZ Homes for Sale is an active, partially age-restricted community in Prescott, Arizona. This 1,300-home community features a 18-Hole Hale Irwin golf course and is just minutes from historic downtown Prescott. The community’s active lifestyle has attracted retirees from around the country. A variety of new and resale homes are available at reasonable prices. Prescott Lakes has grown into a vibrant community of active individuals who enjoy outdoor recreation and socializing with neighbors. Residents have come to enjoy the community for its gorgeous views, friendly people and a lifestyle that is as laid-back or active as you want it to be. Construction of Prescott Lakes began around 2000 and now contains 14 unique neighborhoods. Most of the neighborhoods appeal to a mature audience but only two of the neighborhoods have an age-restriction, including The Cottages by Del Webb and Willow Park Estates. Homebuyers can choose from both gated and non-gated neighborhoods and select from home styles that include inexpensive condos, low-maintenance townhomes, affordable single-family homes and luxurious estate homes. Vacant homesites are also available for purchase, allowing homebuyers to build custom homes. Prescott Lakes is located at an elevation of 5,300 feet, just four miles north of Prescott’s charming downtown district. The quiet town of Prescott is a world away from the lights and crowds of Phoenix, but still only 90 miles from the big city attractions. Historic Prescott is known for its Victorian era homes and many art galleries. Over 8,000 homes are on the National Record of Historic Places. The area features an opera house as well as rodeo grounds. Founded in 1864, it is home to the oldest rodeo in the world. Prescott has been named one of the “Best 50 Places to Live” by National Geographic Adventure and one of the nation’s “Top Ten Dream Cities” by Sunset Magazine.Unlike the hot desert communities near Phoenix and Tucson, summer temperatures here rarely rise over 100 degrees. 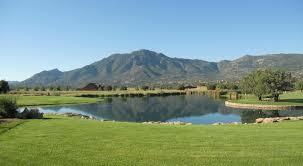 Prescott Lakes AZ Homes for Sale.